Today I am going to review the NYX Liquid Suede lipsticks. NYX is a Los Angeles based cosmetics brand which is very popular across the globe. Kitten Heels : It's a pure classic red coloured shade...my favourite! Cherry Skies : Cherry red shade...my favourite! The packaging of the product is interesting.The colour of the tube matches the Suede lipstick's shade...that's great! Re-application of the product is not an issue. 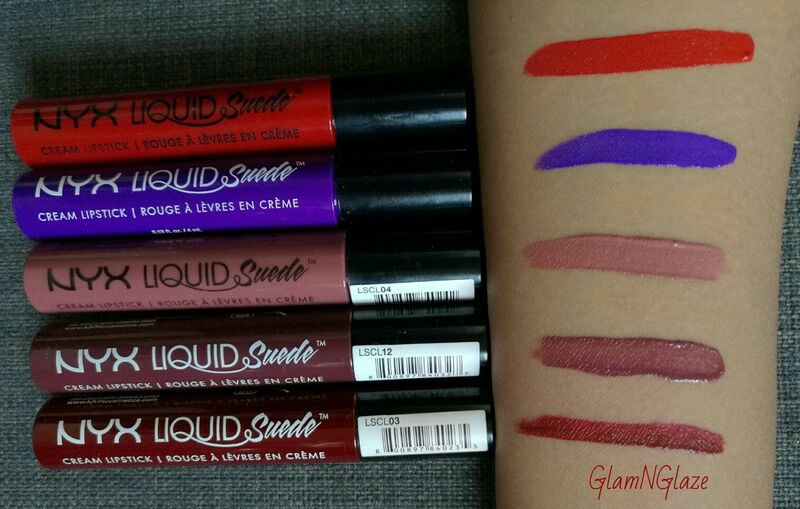 Since,the lipsticks in the Suede range have a demi-matte finish,they transfer a little. Nice shade-range available,from nudes to oranges!